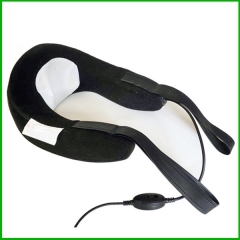 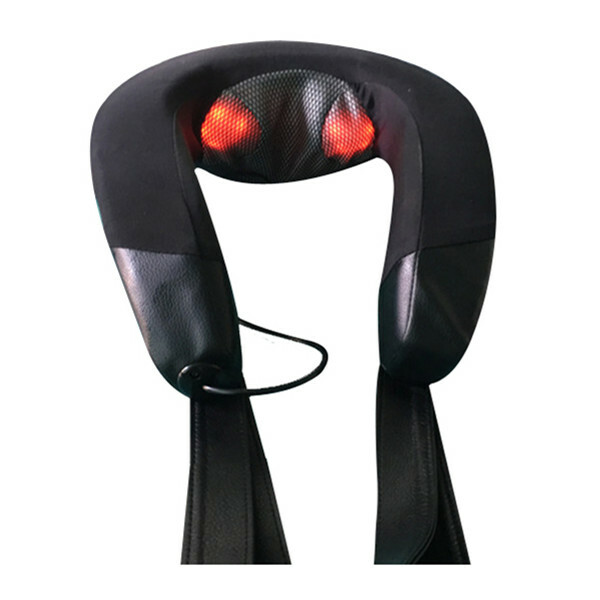 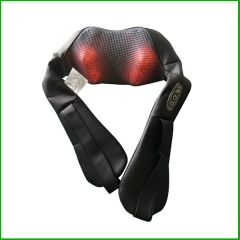 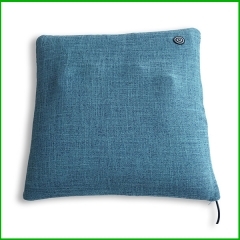 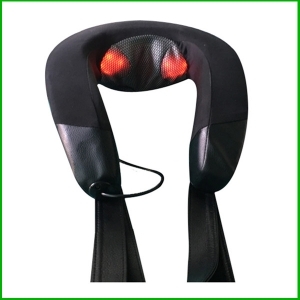 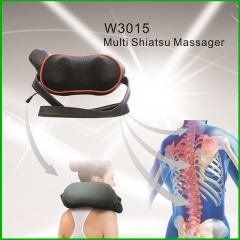 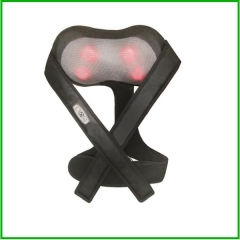 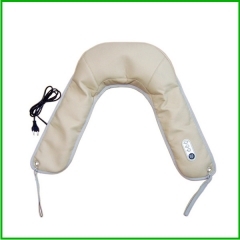 The Shiatsu Neck and Shoulder Massager with Heat gives a deep kneading shiatsu and vibration massage with three massage options: Shiatsu, Vibration or Combined. 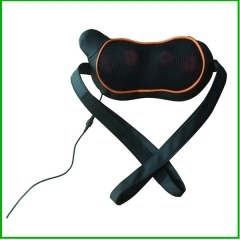 Soothing heat gives a more relaxing massage. 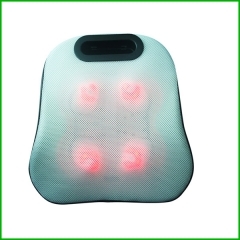 Convenient Integrated Control lets you choose massage or massage with heat. 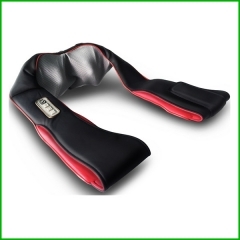 Custom Comfort flex handles let you customize the intensity of the massage. 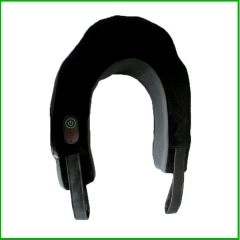 Extended coverage area targets neck as well as shoulders.